There is little to no history available on this small dot of far West Texas. 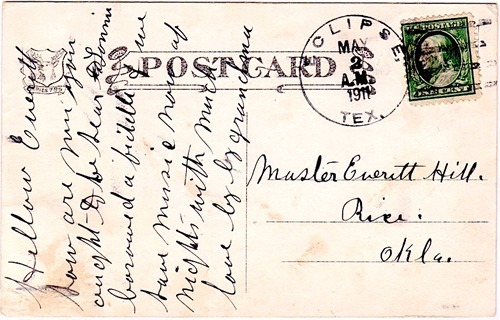 Fortunately, tangible proof of its existence is proven by its inclusion in the John Germann Collection of covers from discontinued Texas post offices. 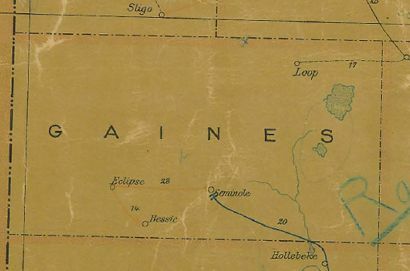 The town also appeared on this 1907 postal map of Gaines County - from the Texas State Land Office.